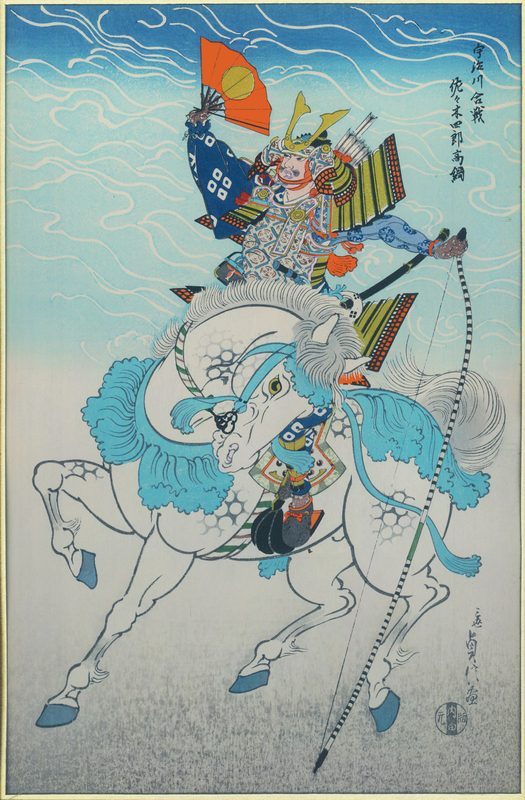 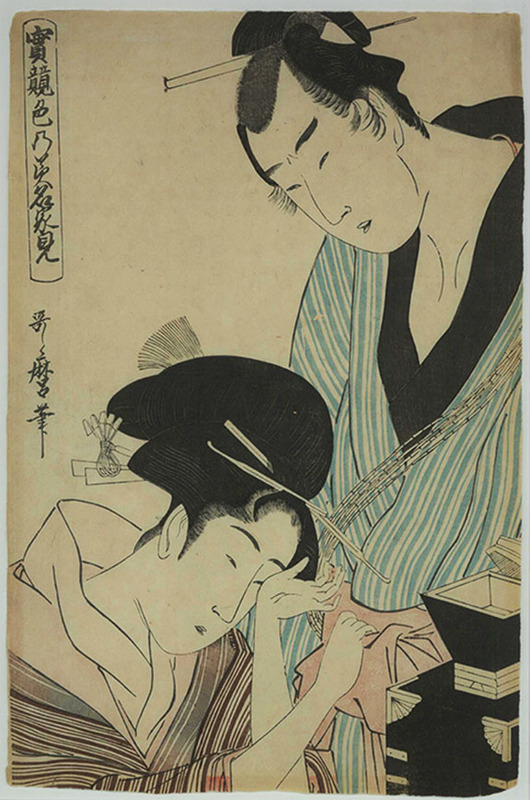 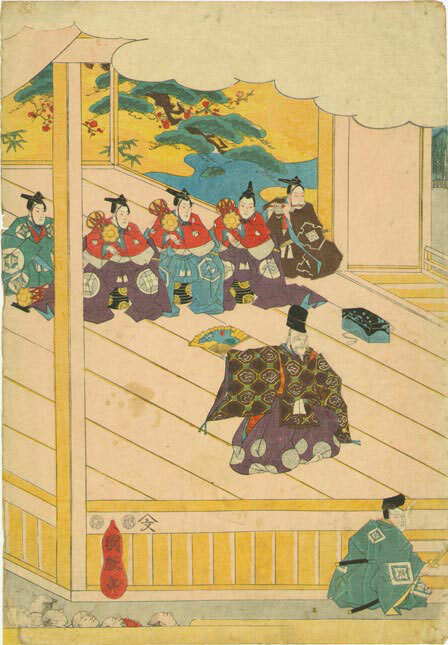 Color woodblock, attributed to Kunihiro active from 1815-43. repair lower right. 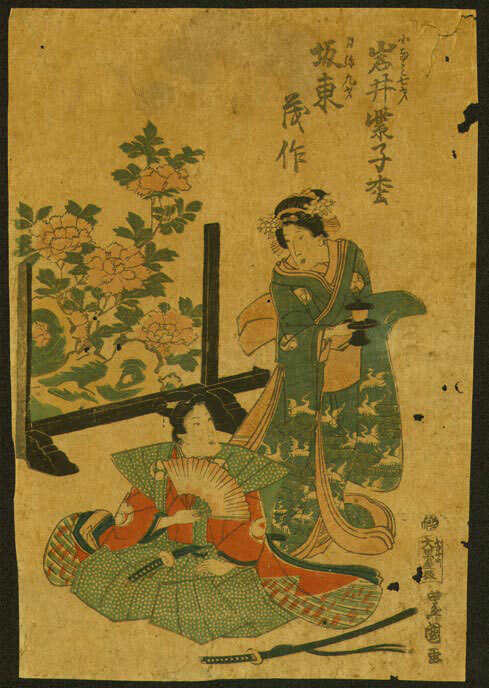 Woodblock, image size 8 1/4 x 12 1/4 inches, c. 1950, artist seal l.r. 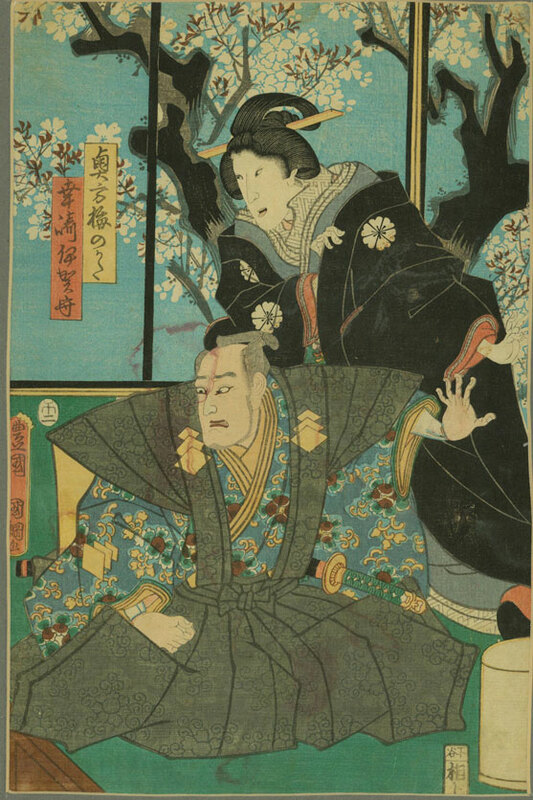 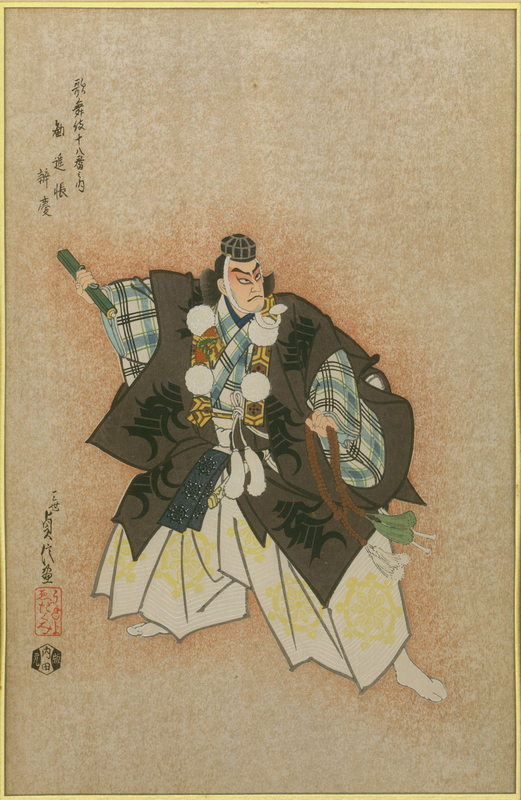 Masao Ebina is best known for his set of prints depicting the 54 chapters of "Genji Monagatari", an eleventh century novel about an aristocratic womanizer in medieval Japan. 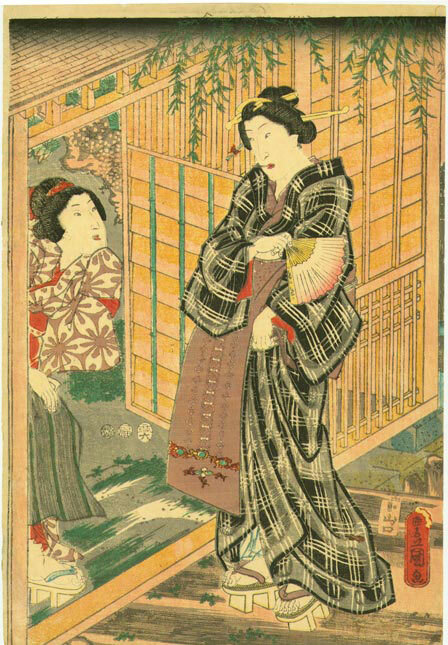 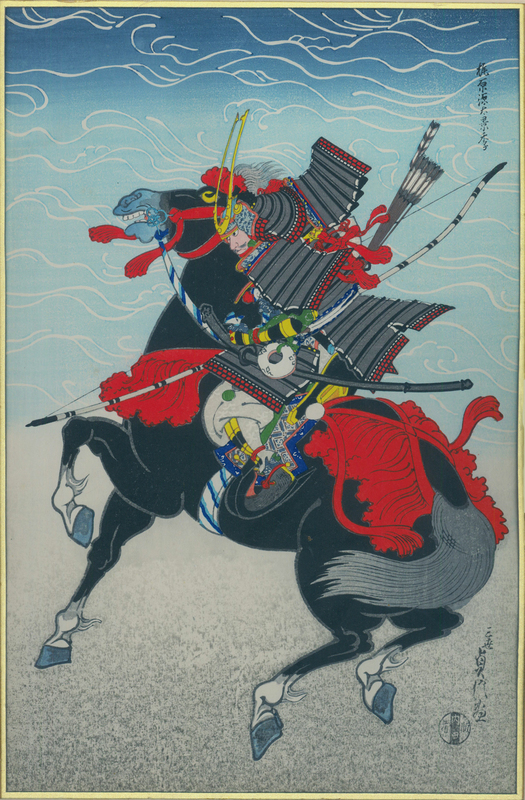 Color woodblock, image size 14 3/8 x 9 13/16 inches, circa 1830. 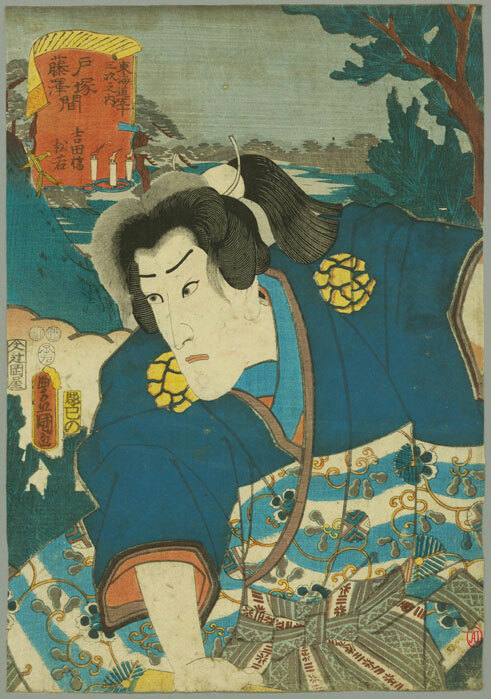 Ashiyuki was active in Osaka from 1814 to 1833 and a pioneer of the 'surimono' larger format print. 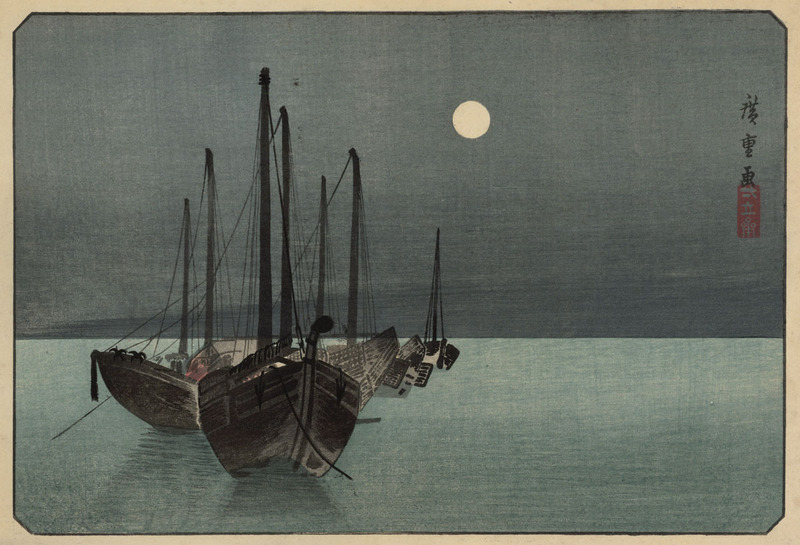 A quiet nocturnal scene, this color woodblock measures 9 x 13 3/8 inches, published c. 1930s. 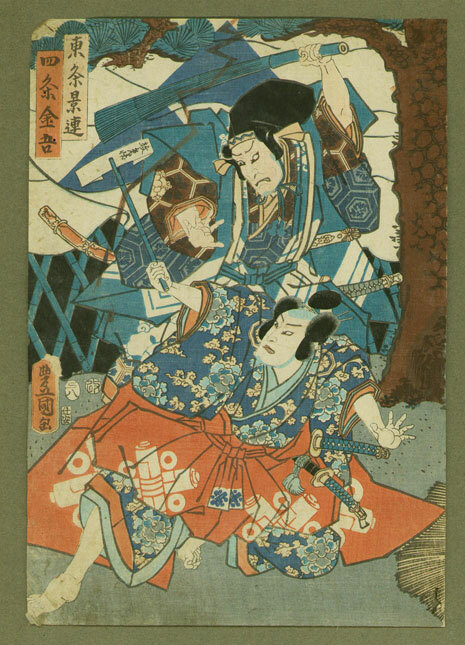 There is an artist signature stamp in the image, but we have been unable to identify it. 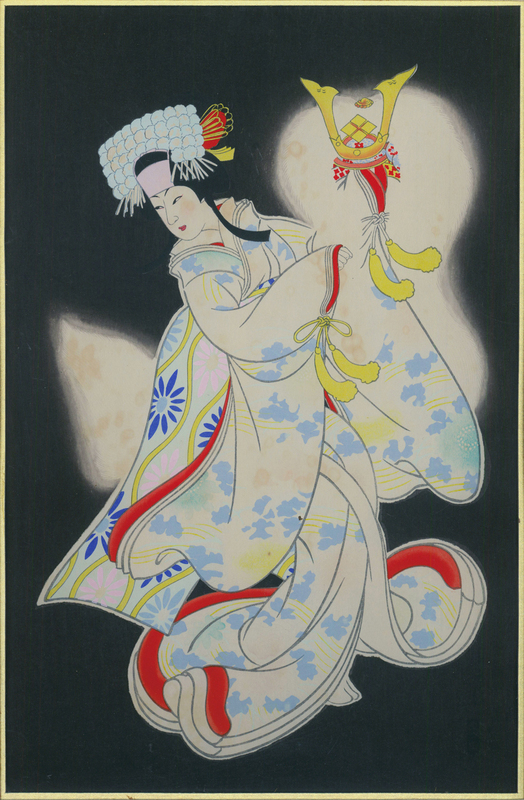 This color woodblock print by Keion Sumiyoshi measures 9 1/8 x 14 1/4 inches. 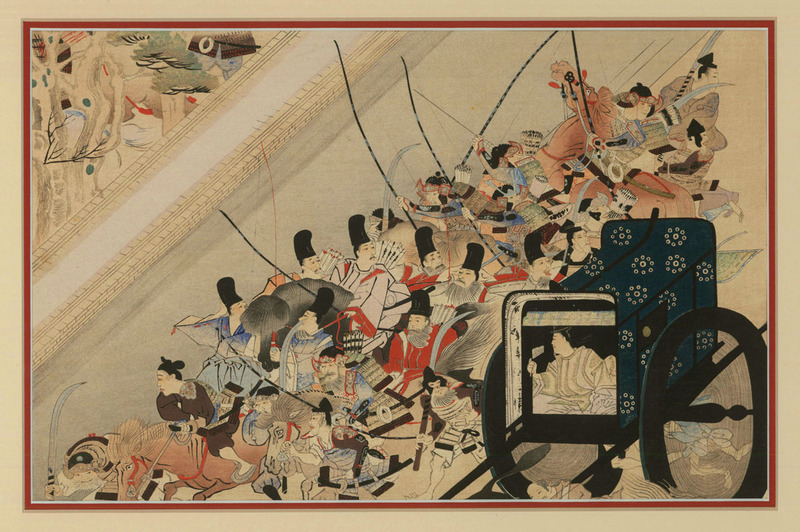 This is a later printing of a scene from the Heiji Rebellion.